- Our gift to all of you is the supersweet YTO SOLREISER Christmas single "Kul Kanon" with a couple of live bonus tracks from this summer. Enjoy! See you in 2010! - Yolanda Myrbostad is currently in the studio writing a new track with SilverPlate. SilverPlate recorded and cowrote the new track called "Så sjuk" with the norwegian artist/rapper Joddski. The track is to be released in France. - Frank Ness has in addition to Angels also contributed as a mixing engineer for the track "Think I'm Lying" featuring the multi-platinum selling US rapper Too $hort alongside the track "Like you wish". Frank Ness has mixed a new Chris Lee track "Being Alive"." - Thomas is finishing recording and mixing on Ila Auto's album. We are very happy with the results. 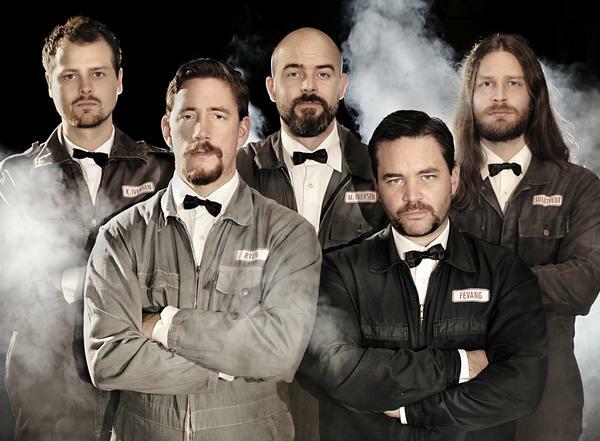 The guys recently recorded a video for their second album single "En Som Blir Igjen". The guys in Ila Auto are also working on a "Barne-TV" show for NRK". - A new addition to the Urban Crew is Robin Lomax Bjerke, a young and eager guy with lots of great ideas. 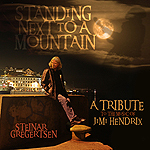 - Folk/country singer Claudia Scott did vocals on 2 interpretations of classic Jimi hendrix tracks; "Bold As Love" and "Waterfall" on Steinar Gregertsens forthcoming album "Standing Next To A Mountain". - Jock is recording with marimba-master Zwai Mbuele from Cape Town and continuing album with Anita Hegerland, with guests. - Up and coming rock group Kongurei recorded a demo with Thomas. - 4 new tracks finished and mixed for Kohinoor's next album, and she is now on Rikskonsertene Tour for the next months. - Fixing up Studio C! - Third session with Ila Auto, the album will be released on Universal Music. - The master marimba player Zwai Mbula from South Africa is recording his new (still untitled) album, featuring special guests. He's also perfomring at this years Mela Festival in Oslo. Fernando is in charge of coordinating artists at the Mela Festival. - We're finishing up recordings for Anita Hegerlands new album. - Second session with Ila Autos third album, trying out percussion, guest appearances and more. - Brasillian artists Chandra Lacombe, percussionist Celio Carvalho and Eduardo Agni are recording new material for the album "Namaskar". - YTO Solreiser plays at Canal Street Jazz & Blues festival with great reviews. - Thomas is on tour with stadium rockers Heroes&Zeros, and starts producing 5 new tracks for the Ila Auto album, set to be released on Universal Music in November. - YTO Solreiser plays at Hovefestivalen. - Ila Auto is back and recording the second single "Grønland" with Thomas as producer for the forthcoming album. - Jock is producing Ivory Coast rocker Kutchala Sutchi's next album. Stay tuned with Stonegard here! - Backstreet Girls: Live recording of their 25 year anniversary show at Rockefeller. - Inferno Festival: We recorded both norwegian black metallers Keep of Kalessin and Vreid at this years Inferno Metal Festival at Rockefeller. - Abuwa's album "Afro Portrait" is finally available on iTunes! Click here to get it! - YTO SOLREISERs selftitled debut album is finished and out in stores 1st of april! 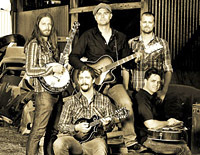 The band has gotten great reviews for their uncompromising mix of styles and massive production. Produced, mixed and mastered here at Urban Sound Studios. - Listen to sneak preview here! - After a great success with the last album, Sverre Indris Joner is back to record another one early in the new year with Jock Loveband again at the helm.